Your car is about to get a green makeover. For years, the auto industry had successfully fought off attempts to impose tougher gas mileage standards. But when the big automakers came to Washington last year asking for handouts, the help came at a price: tough new national standards. The rules — previously proposed as state limits by California — will require each car company selling in the U.S. to deliver an average fuel economy of 35.5 miles per gallon for its cars, SUVs, vans, and pickups sold here. That’s about 40 percent higher than the current average. And to get there by the 2016 deadline, the auto companies will need to roll out a mix of technological innovations. Some automakers are fielding new plug-in electric cars like the Chevrolet Volt and Nissan Leaf, both of which go on sale late this year. The mix on Auto Row will also include improved gas-electric hybrids and cleaner diesels. We may even see engines that run on natural gas or hydrogen making a dent in the market. Most analysts agree. But with all those options hitting the roads, you may face tricky calculations when choosing the car that gives you the best value for your money. Among the questions: Is a plug-in electric the most environmentally correct choice if the electricity is generated by a coal-fired power plant spewing greenhouse gases? Here, in the order of their predicted market share, is a closer look at the vehicle you could be driving in 2016. Gasoline engines with high-tech improvements will remain dominant this decade for a simple reason: Incremental technology changes are the most efficient way for automakers to deliver low-cost higher mileage. Gasoline engines, which now account for about 90 percent of car sales, will still have a 73 percent U.S. market share by 2016 and just below 70 percent by 2020, according to forecasts by research firm J.D. Power and Associates. To be sure, small but stylish cars are one of the simplest ways to market high mileage: Diminutive models like the Honda Fit and Nissan Versa already sell well. Ford plans to bring in its small-car Fiesta and a redesigned Focus from Europe, and General Motors will bring the Chevrolet Cruze, based on a compact Opel model it sells in Europe, to the U.S. market later this year. Larger vehicles will need engine improvements to get the needed mileage boost. “We expect to see a lot more turbocharging, cylinder deactivation, and direct injection,” says Michael Omotoso, senior manager for global powertrain research at J.D. Power. “All these technologies exist right now, but we expect wider adoption going forward.” These mileage boosters either burn fuel more completely, or run on lower power or fewer cylinders most of the time, with additional power kicking in just when needed. Drawback: Gasoline still requires a steady supply of petroleum and is vulnerable to world events, price spikes and supply disruption. Our picks: Honda Fit, for now — though the European Ford Fiesta and Focus look promising. Though well-established by now, hybrid models such as the Toyota Prius and Ford Escape Hybrid see their sales rise and fall with gasoline prices. One drawback is their higher price compared with gasoline models. The 2010 Ford Escape hybrid small SUV, for example, has a base price of $29,785 compared with $23,575 for the non-hybrid XLT model. Toyota, already the leader in hybrids, said at the Detroit Auto Show that it will intoduce eight new hybrid vehicles over the next few years. BMW also is working on a small-car hybrid. J.D. Power’s Omotoso predicts that hybrids, now just under 3 percent of U.S. auto sales, will rise to around 9 percent by 2016 and 12 percent by 2020. Drawback: It will be hard to get prices down enough to attract shoppers motivated solely by economics, not environmental principles. Our picks: Nissan Altima among hybrid sedans, Ford Escape among hybrid SUVs. Drawback: The cost of diesel fuel, now about equal with gasoline, can spike under some circumstances, as it did in 2008. Our pick: Volkswagen Jetta TDI is an affordable diesel that’s fun to drive. Plug-in electric cars have the most buzz going into the new decade. Niche electrics like the rocket-fast Tesla Roadster at more than $100,000 are already available, but late this year consumers will get a chance to buy two models aimed at volume sales — the all-electric Nissan Leaf and the battery-powered Chevrolet Volt, which has an auxiliary gasoline engine for recharging. The Volt will sell at around $40,000 and the Leaf about $25,000; the first 60,000 buyers will also get a $7,500 federal tax credit. But price is likely to remain an issue. “The tax credit will help, but battery-based cars can be expected to be more expensive for years in the future,” says Jack Nerad, executive editorial director and market analyst for Kelley Blue Book. Plug-ins will hit only about 1 percent market share by 2016 and perhaps 5 percent by 2020, according to J.D. Power forecasts. Drawback: With the Leaf needing recharging after 100 miles and the Volt running out of battery power after 40 miles (though the gas engine will recharge it, extending the range), plug-ins only work well as commuter cars. Long road trips require another vehicle. Our pick: We haven’t driven these yet, but the Nissan Leaf has a more reasonable price. 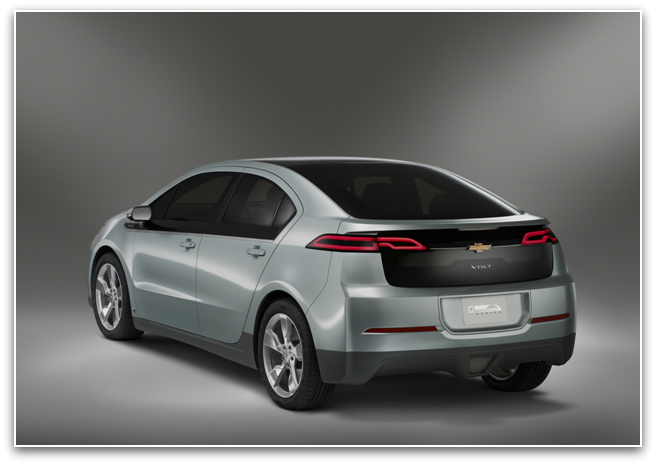 The Chevy Volt would obviously be a better bet, however, if you’d be nervous without backup recharging. Further out on the green-car horizon, both General Motors and Honda have prototype hydrogen fuel cell vehicles that drive just like traditional cars except with no noise and no emissions except water. And Honda actually makes and sells about 2,000 Civic GXs a year. The cars are powered by clean-burning, low-emission natural gas — an increasingly abundant fuel in the U.S. But hydrogen and natural gas cars share a huge problem: refueling spots are hard to find. That makes their likely combined market share less than 1 percent even by 2020 — although they might gain some ground as fleet vehicles, which could have their own refueling stations. Drawback: The huge investment needed for widespread refueling stations may be a permanent roadblock. Our pick: if it ever goes on the market, GM’s fuel-cell Chevrolet Equinox is a terrific drive with almost no environmental impact.